(100kg~2000kg) Stainless, Affordable 600x600mm to 1200x1200mm platforms. 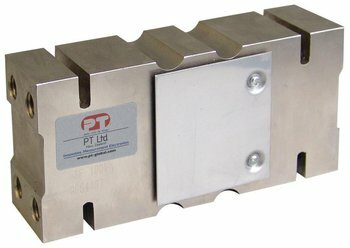 The PTSSP6-F is a high capacity stainless steel single point load cell, sealed to IP65, Interchangeable with our aluminium PTASP6-F and compatible with many side mounted models such as the Tedea HOC model. Designed for platform scales, and hanging scales and found in packaging, closing machines/filling and convey or scales. The highest capacity single point on the market with a wide capacity spread from 100kg to 2000kg. Add to this its ability to accept a platform size up to 1200mm x 1200mm makes this the ideal choice for your simple single cell platform. Complete with a C3 accuracy class and designed with minimal sensitivity to off-center loading comon with single point use.